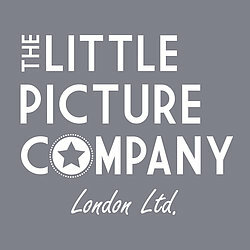 The Little Picture Company is a design studio based in London, creating unique, thoughtful and personalised gifts for life’s special occasions. 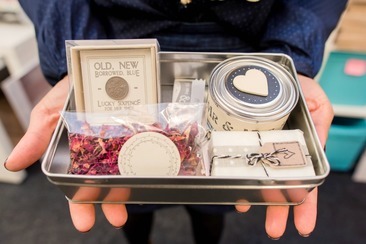 All of our products are designed in-house and aim to bring smiles to cherished moments with loved ones. 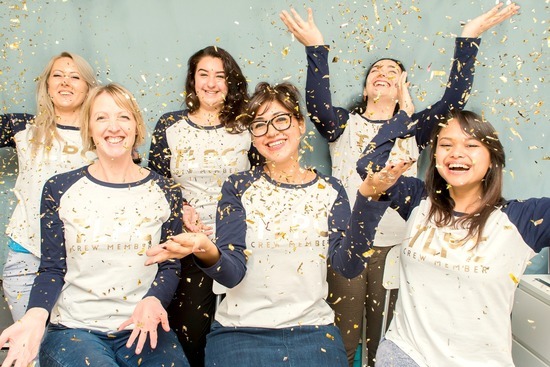 The studio is run by myself, Anita, and my lovely team of passionate creatives, all of whom are dedicated to providing an exceptional and personal service for each and every valued customer. 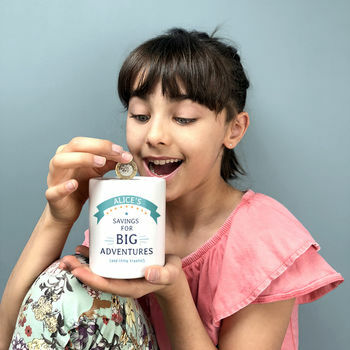 My story began five years ago when I started the business and appointed my daughter, Naia, to be Head of Product Testing - she could always be counted on to provide an honest opinion! 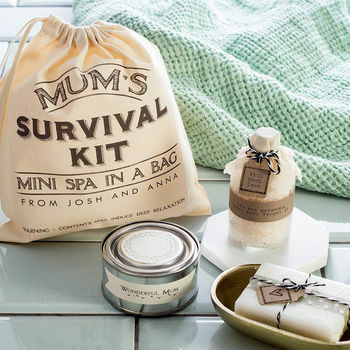 Together with the team, we really enjoy creating beautiful products to celebrate those special moments; whether it’s a personalised mug for a teenager going off to university, a spa kit in a bag for Mum’s birthday, or a keepsake wine bag for a milestone anniversary, we have a whole range of designs to help capture the moment. We are also happy to work with you on a custom order, so if you have something special in mind please do get in touch - we'd love to hear from you! We're proud to say that our customers genuinely love what we do and consistently leave us 5 star reviews! 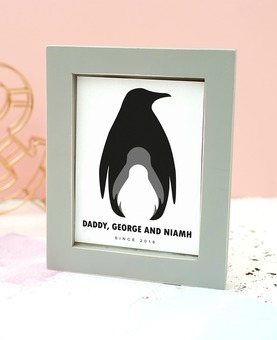 Our products are all designed by our talented team and made-to-order to ensure you're getting a truly personalised gift especially for you or your chosen lucky recipient! Once we receive an order, our team personalises the design to your requirements before pressing or printing onto the product, making sure it's beautifully packaged, and sending straight out to you. "The recipient cried when they opened this gift! 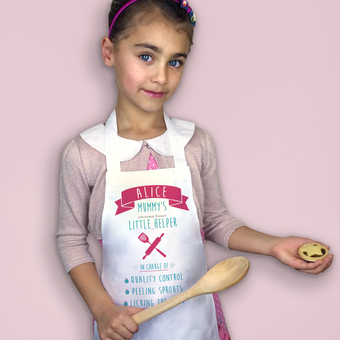 It was dispatched exceptionally quickly for a personalised gift, and was good quality and well printed. Would be happy to buy from this seller again." 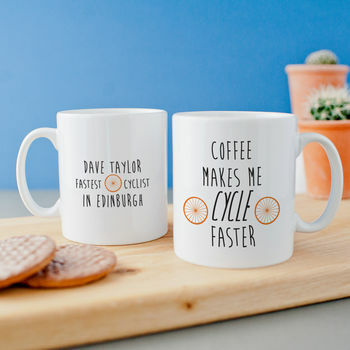 "Excellent service, beautiful mug and excellent quality." 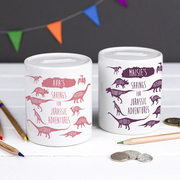 "It made an absolutely brilliant mothers day present!" 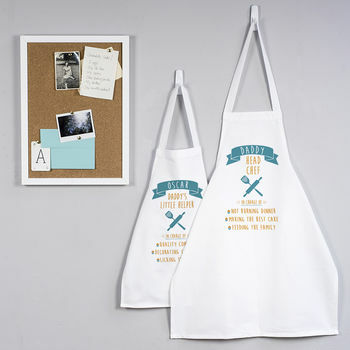 "Absolutely love the aprons! The recipient is over the moon! Very friendly company too."